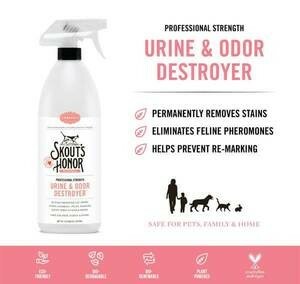 Quickly removes cat urine, vomit, hairball, feces, marking scent, spray stains & odours! Safe for use on rugs, carpets, upholstery, clothing and other porous & water-safe surfaces. CLEAN LIKE YOU MEAN IT! Any cat lover knows those pesky feline pheromones can wreak havoc around the house - from rugs to carpets, to walls, furniture and bedding. 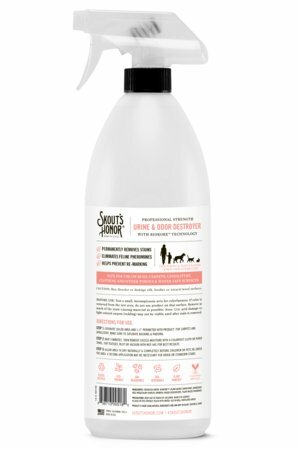 Designed to destroy cat stains and odours for good, this product will quickly become any cat parent's new BFF.